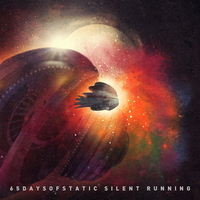 65daysofstatic's brand new soundtrack to Douglas Trumbull's 1972 sci-fi classic 'Silent Running. A whole record of brand new 65 material. Originally commissioned by Glasgow Film Festival at the beginning of 2011 as a live re-score performed by the band, this project grew into something much bigger than anybody had ever anticipated. Available as FLAC or 192kbps mp3.